There are numerous best domain registrars and WordPress hosting companies available on the web which offers various services like Domain Name Registration, Web Hosting, Web Designing, VPS servers hosting, Cloud Storage and Email services, etc. Before registering a domain name, you must check out the key features of a registrar which are essential to make it “best domain registrar“ among thousands of others. Those key features are; Instant 24/7 technical support, Live chat facility, Reliability, Sustainability, Credibility, Security, Pricing, and Renewal rates. All popular and professional registrars offer mentioned features by default to grab more and more customers (or entice buyers to purchase their services). If you find one who doesn’t care about the following things, just leave and never buy something from them. 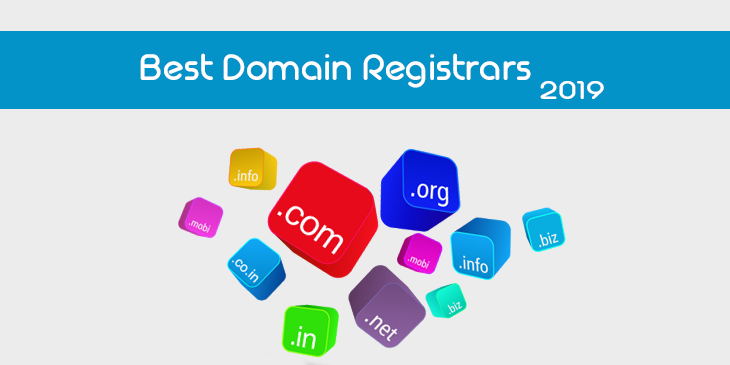 Before going ahead to the list of best domain name registrars 2019, I would like to share some information about domain names. Web Hosting Guide Which One Best for You? Web site or blog is a great way to create an online community worldwide. To access any website we need a complete address of that site, which is also known as URL address, domain name or website address. For example; if you want to open “Facebook” then you need a proper URL address of Facebook, which is www.facebook.com or facebook.com. This unique address is known as “Domain Name” and this also represents an IP (Internet Protocol). Remembering IP addresses of different websites is a tough job, so that is why Domain Name System (DNS) was Introduced. The world first domain name was registered in 15 March 1985 with the name of Symbolics.com [Symbolics Inc. by a computer firm]. Registering a domain name is not a big deal if you have necessary know-how, there are many best domain name registrars available, where you can easily buy your desired (if available) site name. Well according to Wikipedia a domain name registrar is an organization or commercial entity that manages the reservation of Internet domain names. A domain name registrar must be accredited by a generic top-level domain (gTLD) registry and/or a country code top-level domain (ccTLD) registry. The management is done in accordance with the guidelines of the designated domain name registries. If you search in Google with the query “domain registrar”, you will see hundreds of domain services provider. Some are very expensive, and the others are quite cheap (Lowest and quite affordable in price). You can save some bucks by choosing right one for registering your new website name. If you are new to the whole procedure of buying a domain name then here is a complete guide for you. How to Buy Your Domain Name in 5 Easy Steps? Following registrars can help you save some money if you choose for registering your new domain. They have good Online Reputation, Users satisfaction, Technical Support and also up-voted by reals users. Here is the list of some of the best and cheapest domain name registrars for registering your new site name. iPage is the cheapest and affordable hosting provider in the world for creating your site at the lowest budget. iPage offers many services such as free SiteLock security, Free toll-free number, Site Analytics, Free YP (Yellow Page) listening, Daily Spam and Malware scanning, Constant network scanning and free up to $200 for internet marketing. You can easily register your desired web address name on iPage if available. Web hosting packages of iPage are also cheap and affordable. The best thing of iPage is you can get a free domain with one year web hosting just at $24 with 99% server uptime. I listed this company here in the 1st place due to lowest and economical prices. So, it’s a great opportunity to start your site with iPage at the lowest price. Isn’t it? NameCheap is a great company for registering your new website address at the lowest and affordable price. I also have some of my domains with this registrar. HostReview selected this company for “Readers Choice Award 2013”. NameCheap offers Shared Hosting, Reseller hosting, VPS hosting, Dedicated servers and Email hosting at cheap prices. Their domain management system is very flexible. 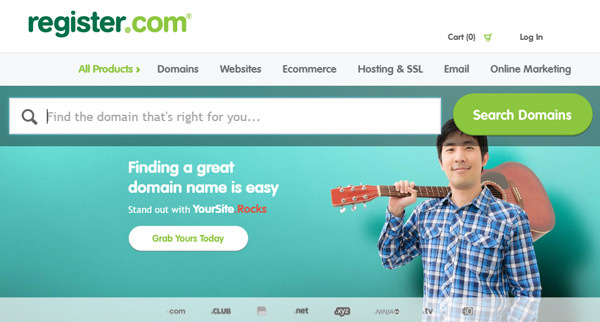 In 2010 to 2015 Namecheap was selected as a best domain name registrar at Lifehacker poll. Namecheap was founded in 2000 by Richard Kirkendall. Also, you can buy SSL certificates to protect your sites at very reasonable prices. 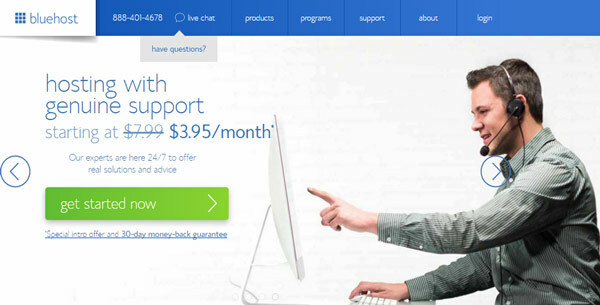 They offer an outstanding 24/7 live chat support to help you. You can go with them without any doubt to pick your blog name. 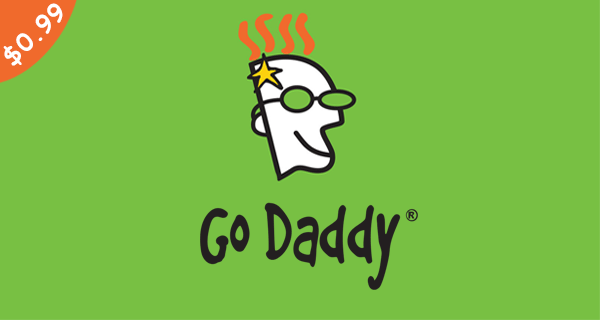 Godaddy is another great domain registrar and they also offer web hosting services, established in 1997 as a Jomax Technologies, which later became Godaddy. It’s world largest domain Registrar Company with ICANN-accredited registrar and also sells e-business related softwares and services. 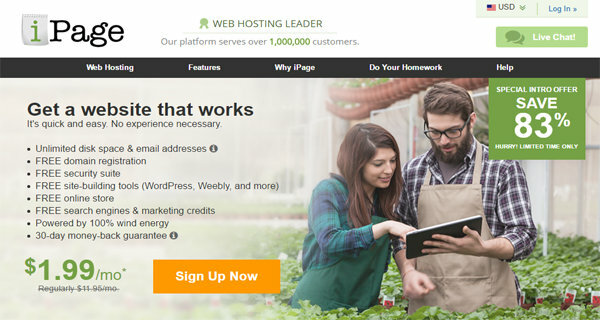 Their hosting plans start from $4.99/month that is same as Bluehost and Hostgator. Godday is best for buying the domain name, according to my personal research their hosting service is not much good in past days. If you are looking for some great web hosting providers, I’d refer to this article; Best WordPress Web Hosting Providers of 2019. BlueHost is one of the most popular wordpress hosting providers and best domain name registrar on the internet. WordPress official developers also recommend it for wp sites. If you are planning to start your website on WordPress platform, then choose this hosting without any doubt. BlueHost offer following services; free domain name with hosting purchase, Cloud Hosting, shared and dedicated hosting, VPS hosting, Domains, Site security and more. Their customer support is 24/7 in the whole year 365 days that make this company just awesome. I am an experienced BlueHost user, their hosting services are great, and you will never need to contact them regarding hosting issues. If you are looking for affordable best WordPress hosting then this company just perfect for you. It is another cheap and well known best domain selling company. The thing that makes 1&1 best is they offer first year registration fee of the domain around 1~$2 with exclusive discounts on web hosting plans. 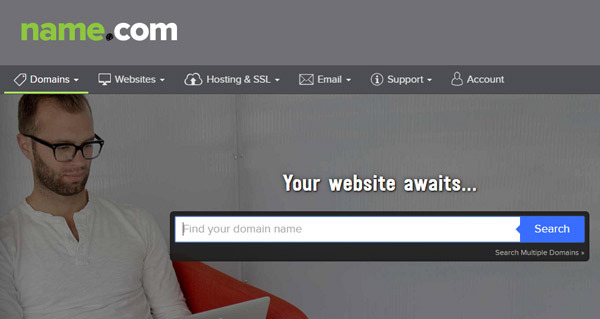 It’s another best domain name registrar, So that is why this is at number 2 position. 1and1 founded in 1988 and currently handling 19 million registered domains for private and business customers globally to date and still growing. 1&1 Internet offers Linux and Windows hosting, Domain registration, Virtual Servers, Dedicated Servers, Email and E-commerce solutions. Hostgator is an excellent domain registrar and best WordPress hosting provider company at the lowest prices. Hostgator is the best web hosting for WordPress users, and many experts recommend this one for WordPress sites. It was found in 2002. Their hosting plans are very affordable for new and old websites. You can purchase hosting as low as $4 ~ $5 per month. Currently, Hostgator hosting more than 8,000,000 sites and growing fastly. I am using their services for the last one year; their hosting is awesome, fast and secure. MyTipsHub currently hosted on their servers and the uptime is 99.99%. That is why I recommend HostGator, give them a try you will never regret your decision. InMotionHosting having an award of 10 Year CNET-certified hosting because of outstanding service, secure web transactions, and best business practices. Better Business Bureau (BBB) rating is A+ for this company. InMotionHosting offers webhosting, domain names registration, site building tools, and many useful things. They offer 90 days money back guarantee. If you feel unsatisfied with InMotionHosting services, get back your money. Name.com is a well known company and having a good online reputation in the field of domain registration and web hosting. 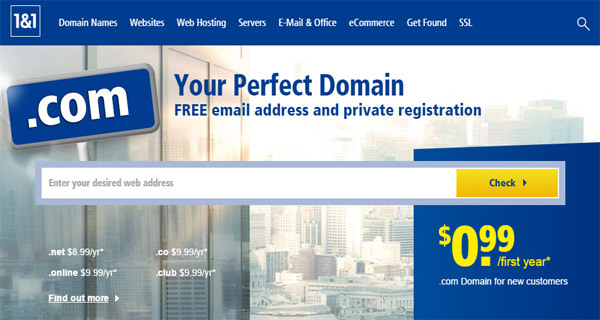 Their hosting plans start from $4.99 per month, and domain registration price is $10.99/year. Name.com founded in 2003 by Bill Mushkin. They offer the number of services such as domain registration, SEO tutor, Website Builder, One-click WordPress Install, SSL certificates, Email services, Google Apps for work and much more. Register.com founded in 1994and currently managing million of websites and blogs on their hosting platform. Register.com is another best domain registrar that is why millions of people trust on this company. Their services are rocking and 24 live support is just outstanding. You can buy or register your web address easily on register.com at lowest prices. 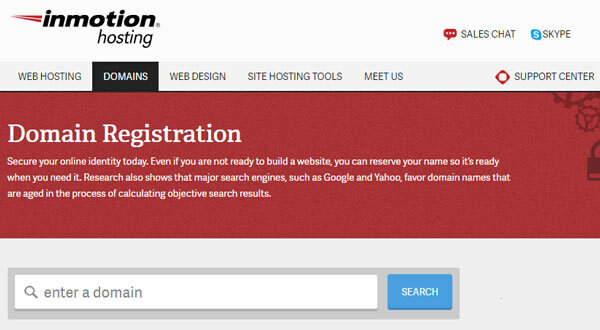 Register.com offers following facilities Domain Registration, Shared and Dedicated Hosting, Email services, Online Marketing, E-commerce, and SSL service. DreamHost is also known as best domain registrar for buying domains and recommended web hosting by many wordpress users for wordpress blogs. Their reasonable hosting packages and domain prices make it awesome. You can buy your domain as low as $11.95/year and web hosting $8.95 per month though it’s a little bit costly, but their services are awesome. They offer following services; domain registration, shared and dedicated hosting plans, cloud services, VPS servers, and live support. If you can afford some extra bucks, then this one is right for you. Dream Host offers the longest money back guarantee of 97 days. So, these are some well known best domain registrars where you can easily register your site name. If you’re looking for a great web hosting with a FREE domain name, then go for BlueHost. 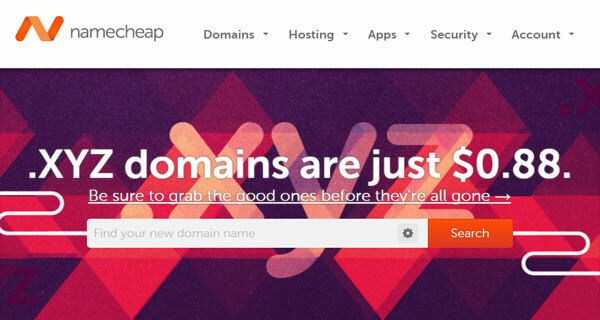 Otherwise, NameCheap is the best place to buy domain names. If you know any best domain name registrar that should be here in this list, feel free to suggest in the comments section. Is there any worst registrar added in the list? It will be a pleasure for me to know which is your best domain registrar for buying your site names?